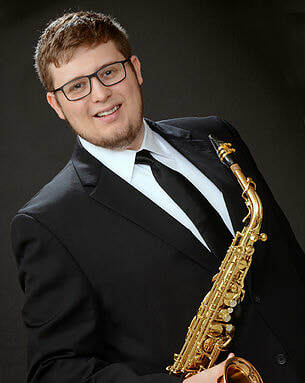 Saxophonist Andrew Hutchens currently resides in Columbia, South Carolina where he is a graduate assistant at the University of South Carolina. He is an active performer of solo repertoire, chamber music, and new music for the saxophone. 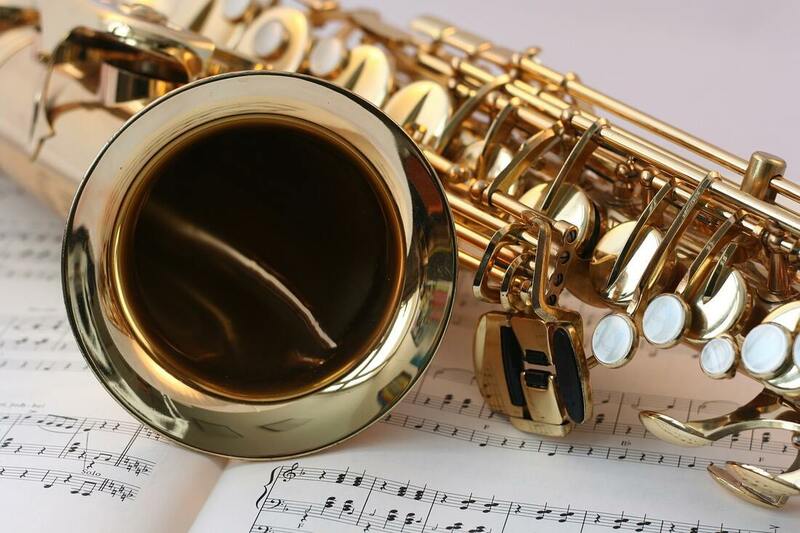 Furthermore, Andrew is a devoted advocate of music education, serving as a clinician throughout Western North Carolina and South Carolina while maintaining a private studio of secondary school saxophonist. Andrew has also participated as a faculty member at the Carolina Saxophone Camp along side the renowned Assembly Saxophone Quartet. As a performer, Andrew maintains an active performance schedule. Andrew's repertoire encompasses masterworks from composers ranging from Biedenbender to Bach. 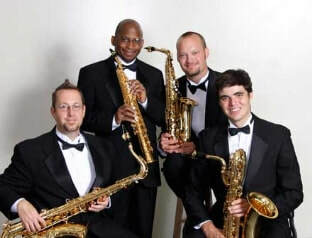 He has performed extensively across the United States in both professional and casual venues such as NASA Biennial Conferences, American Single Reed Summit, Asheville Symphony Orchestra, Navy Band Saxophone Symposium, NASA Regional Conferences, and the National Conference for Undergraduate Research, Foothills Arts Council, and the Glitterbox Theatre. His constant devotion to music education, performance, research, and community present a passion for making music accessible to all. As an advocate for new music, Andrew is constantly involved in the commissioning and premiering of new music, including works by Stacy Garrop, Alan Theisen, Jeff Weston, Ruby Fulton, Jeff Herriott, and Benjamin Dean Taylor. His principal teachers have included Ian Jeffress, Clifford Leaman, with additional jazz studies with Bryson Borgstedt and bassoon studies from Will Peebles. Andrew has participated in masterclasses by renowned saxophonists such as Kenneth Tse, Clifford Leaman, Jan Berry Baker, Ogni Suono Duo, and the Assembly Quartet. The music of Benjamin Dean Taylor (born 1983), has been described as “elegant and energetic” (Kenneth Thompson) and “powerful and direct with delightful surprises in each work.” (Marilyn Shrude) Having grown up as a performer in jazz, rock, ska, country, and concert bands as well as in choirs and orchestras, Taylor is driven to write music that highlights the strengths of each performing ensemble. His catalog of more than 100 works covers a large range of styles and genres including music written for orchestra, wind band, opera, choir, jazz big band, gamelan, chamber ensembles, and soloists with live electronics. Taylor has received commissions from ensembles including the Calidore String Quartet, Omaha Symphony, Solaire Saxophone Quartet, New World Youth Symphony, and the Detroit Symphony Orchestra Civic Wind Symphony. As a sought-after composer for wind band, Taylor has been commissioned by over 75 band directors of players at all educational levels. Recently named a recipient of his third commission from the Barlow Endowment, Taylor’s prizes and honors include Winner in the 2013 Ticheli Composition Contest, a grant from the Indiana Arts Council (2015), Dean’s Prize in Composition from Indiana University (2013), BMI Student Composers Award (2011), Winner in the American Composers Orchestra Underwood New Music Readings (2012), and an ASCAP Young Jazz Composer Award (2011). Benjamin Taylor completed a doctorate degree from Indiana University and holds degrees from Bowling Green State University (MM) and Brigham Young University (BA). As detailed below, COMPOSER will accept a commitment to perform the work a specified number of times in exchange for a reduced buy-in rate. 2) $150.00 as a commission fee and a commitment to perform the work at least 5 times within 4 years. 3) $100.00 as a commission fee and a commitment to perform the work at least 10 times within 4 years. 2) $200.00 as a commission fee and a commitment to perform the work at least 5 times within 4 years. 3) $150.00 as a commission fee and a commitment to perform the work at least 10 times within 4 years. Deadline to join consortium is June 1, 2019. Buy submitting your buy-in payment, you are agreeing to this consortium contract. Please download and keep for your reference.